Like any other home appliances, your dishwasher can give you tough times by failing to run well. 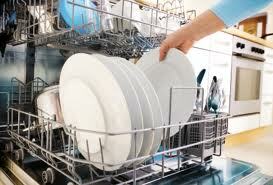 When you find yourself in need of dishwasher technician Mississauga service, contact our company. We have worked with virtually all types,models and brands of dishwashers and gained a vast experience in the dishwasher repair field. 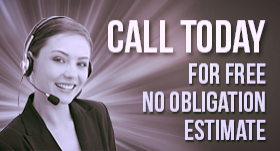 By hiring us, you can expect fast response and reliable assistance. We can ensure your appliance will back up and running within a short time. If you’re facing some issues with your dishwashing machine, you need to turn to specialists you can trust. At Appliance Repairs Mississauga, we have recalled a good number of appliances throughout the Mississauga area, Ontario. Due to our craftsmanship, we have become a trusted team that can fix any malfunctioning home appliances right the first time. Our staff is backed with years of hands-on experience which is reflected in every job we undertake. When partnering with us, you can rest assured our dishwasher technicians will fix your valuable unit in a matter of hours. All members of our crew are certified,licensed and bonded for residential appliance repair services. Whether you own a basic or high-end model, we know how to work with your equipment. Modern dishwashers are more technical and complicated and require thorough attention.If you purchased a new machine and need quality dishwasher installation,our professional and knowledgeable team knows how to do it right.We can guarantee that after our work, it will serve you for a long time without any breakages related to improper installation. Washing dirty pots and pans is not a problem when your dishwashing machine is in a perfect shape. Call us today and our crew of qualified Mississauga dishwasher technicians will resolve any concerns you may have!